← WHAT’S YOUR HORROR IQ? In 1977, my husband took our two-year old son to see Star Wars Episode IV, and that’s when the ‘great obsession’ began. I didn’t understand the fascination. It was sci-fi and not really my thing. While my husband enjoyed the Star Wars movies, our son was 100% up to his eyeballs absorbed in it. He mastered Yoda’s hobble and odd way of speaking, “Laugh it up fuzzball” was uttered at least ten times a day, our house looked like the Star Wars section of Toys R Us, and by the time he was in grade school, every single line of dialogue from the first two movies was firmly implanted in his brain. Sometimes, it was annoying. I’ll even cop to deliberately vacuuming up a few teeny-tiny light-sabers and Imperial Stormtrooper blasters hiding out in our 70’s era shag carpeting. (Hey, that’s what happens when you don’t pick up your toys.) His love for Star Wars has grown over the years and he’s not alone. There’s no age limit when it comes to Star Wars fandom. Hoping Disney would take notice, Daniel’s wife, Ashley, began a social media campaign and Star Wars fans took up the challenge and ran with it. 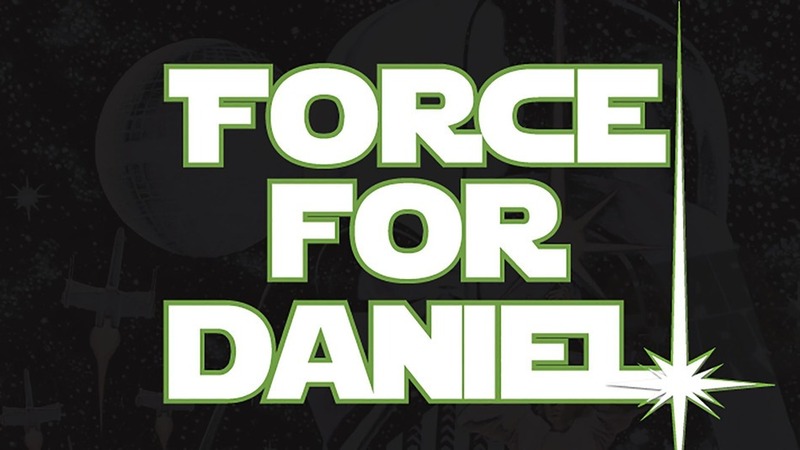 Using the hashtag #ForceForDaniel they flooded Twitter with pleas that Disney allow Daniel to see the movie early. 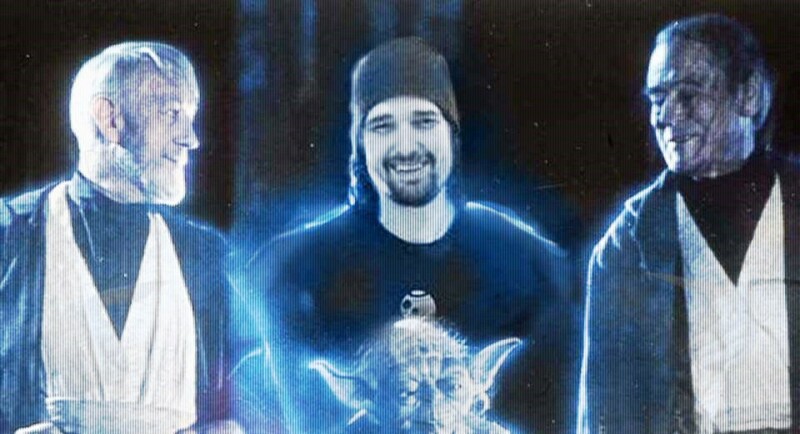 Actors Mark Hamill (Luke Skywalker), Peter Mayhew (Chewbacca), and John Boyega (Finn in The Force Awakens) gave the movement their support and urged the movie studio to grant Daniel’s last wish. A major force in this undertaking was the 501st Legion, the Madalorian Mercs and Rebel Legion. Their members banded together, and using Twitter and Facebook, pulled off a miracle. On November 5th, Daniel was able to view a partially edited version of Star Wars, A Force Awakens. Sadly, he died a few days later, but not before members of the Rebel Legion presented him with a replica of Hans Solo’s DL-44 blaster and the 501st made him an honorary member. The 501st Legion, Mandalorian Mercs and Rebel Legion are international fan-based organizations dedicated to the construction and wearing of screen-accurate replicas of costumes from the Star Wars Universe. But they are so much more than a costume club. Their mission is to give back to the community and the number of hours members have donated to charitable works world-wide is in the jaw-dropping millions. In a world where bad behavior dominates the news, it’s inspiring to know these organizations exist. I’m still not a science-fiction fan, but over the years I’ve developed a great appreciation for Star Wars and I’m looking forward to seeing The Force Awakens when it comes out in December. 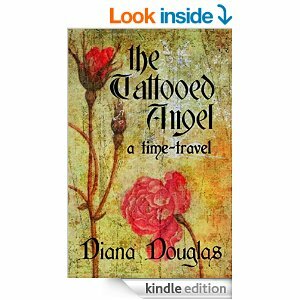 Click on the link if you’d like to check out a trailer. It’s looks pretty awesome. So what happened to that little two-year old boy who fell in love with Star War thirty-eight years ago? 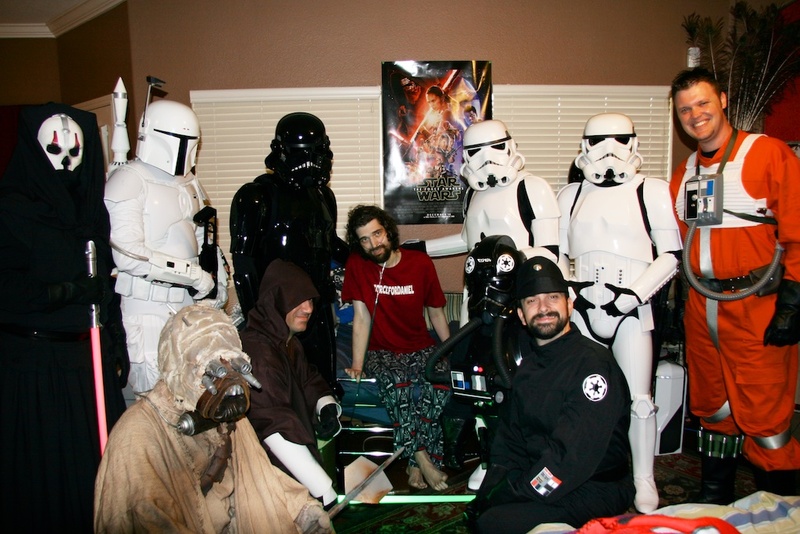 He’s now a member of the 501st Legion and the Mandalorian Merks, makes and wears clone-trooper armor and donates his time with other troop members to visit children in Phoenix Children’s Hospital, walk for Muscular Dystrophy and help numerous other charitable organizations with their fund-raising. That kind of stuff makes a mama proud. This entry was posted in Star Wars and tagged #ForceForDavid, 501st Legion, Ashley Fleetwood, Costume club, Daniel Fleetwood, Mandalorian Merks, Rebel Legion, Star Wars, Star Wars A Force Awakens, Starwars, volunteering. Bookmark the permalink. Such a great story, ruined only a little by Disney being forced to do it against their will. What amazed me was how quickly it happened. All in the space of about a week or so. I caught this story over the news and thought what a great act of kindness it was for being allowed the opportunity to watch the film early. It certainly made his wish come true! It’s good to know there is still kindness in the world. Thx! It just shows what can be accomplished when people are united by a common goal. 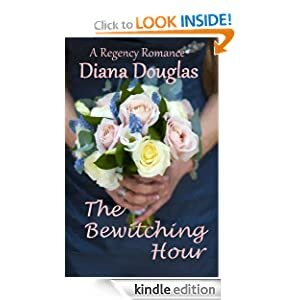 Diana this post had us in tears. What a beautiful story. This is a perfect example of how art & artists can give back. I can’t believe Disney didn’t respond right away. But it didn’t take from the beauty of this post which we will be sharing now. I’m glad you enjoyed it. Right now, focusing on kindness and selflessness is more important than ever. There are a lot of good people out there. It’s easy to forget that when so much tragedy and cruelty dominates our news.